With much fanfare in October, 43North introduced the 11 companies that won prizes of up to $1 million. 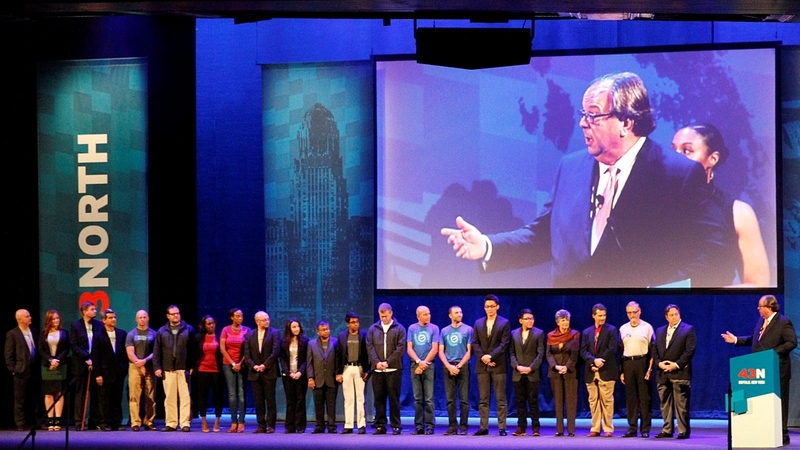 The 43North business plan competition has begun making the second round of payments to its winning companies. The payments, which are going out Thursday, cover the second quarter of the year, from April to June. Some of the 11 startup companies had been waiting for the money since the beginning of April. The startup companies are paid their winnings over as few as two payments or as many as four payments, with checks issued every three months as long as the businesses meet certain milestones they agreed to in advance with 43North officials. The Buffalo News reported in a story that was posted online Wednesday, and printed in Thursday’s newspaper, that 43North had made the first round of payments to the companies but had not yet made the second round. The contest was funded by New York Power Authority proceeds, and the payments are funneled to the companies through 43North. Officials with 43North told The News that one reason for the delay was a change in the organization’s governing structure, which required 43North to obtain a new Power Authority vendor number. A spokesman told The News the money would begin flowing to the companies as soon as it is deposited in 43North’s account by the Power Authority. Also this week, the organization’s executive director, John T. Gavigan, promised the companies that the process for the next round of payments, due in July, would be streamlined.